Greg is a certified Personal Trainer (NSCA-CPT), one of the highest ranked sport organization in the world. Born in Poland Greg lived in Warsaw before coming to Saskatchewan. 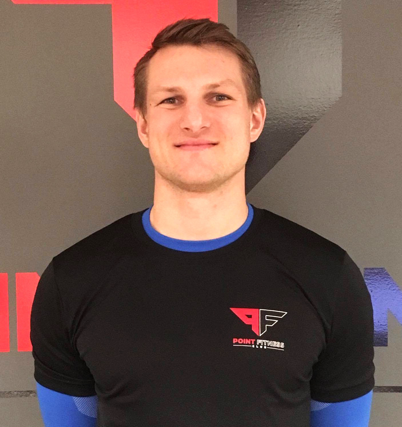 With over 5 years of experience in the Health and Fitness Industry in Poland and Canada, Greg takes a personal and holistic approach to everyone he meets. Greg is expanding his knowledge in the field of scientifically approached fitness every day. He loves to learn about nutrition and he can help you achieve your goals at the same time helping you improve quality of your life and sustain it afterwards. Greg has experience training athletes, teenagers and fitness enthusiasts as well as newcomers. Greg’s qualifications, experiences, enthusiasm in life and job does make him a perfect fit for anyone looking for a change in their life. No matter your health/fitness goals ask for Greg and schedule a FREE consultation today.